Keeping all your camera kit secured and safe when traveling is one concern, but the transportation of high-powered lithium-ion batteries is another thing we now have to contend with. 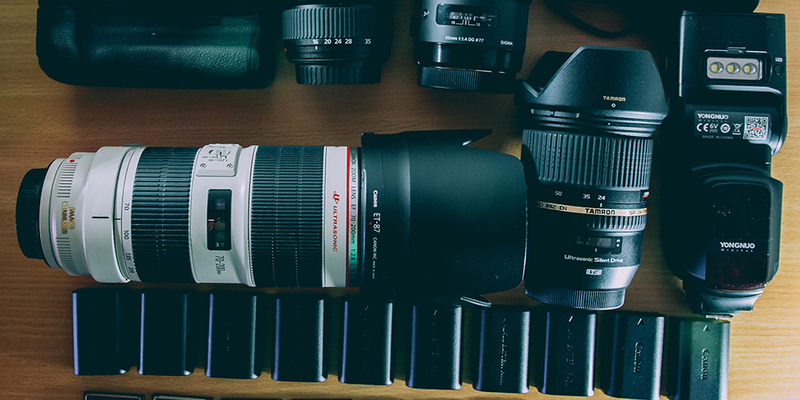 We require more power from the same size batteries, which means lithium-ions which we have to power the majority of our cameras also has the potential to be very volatile. The Samsung Galaxy Note 7 recall highlighted this concern. If you fly with any type of camera gear then it’s not just an added risk but you have to be aware of FAA, TSA regulations and other restrictions. As lithium-ion batteries power so many devices these days there may seem innocuous, but they still have the potential to be volatile. Devices usually have failsafes and the likelihood of anything happening is very slim, but as with anything, it’s better to be safe than sorry. I was first made aware of the extra care needed with lithium-ion batteries in the early days of drones. From day one the larger, older lithium-ion batteries had to use a special charger, never to be run completely out of charge, stored and charged in a fireproof bag. I was probably given a bit of the scaremongering treatment at the time, but it definitely hit home that these batteries carry a lot of power and discharge capabilities, so you have to treat them with care. It’s also mindful to know the rules for what types of batteries you can fly with and how you are expected to package and transport them. Regular dry cell batteries such as AA, AAA, including all your household alkali batteries and rechargeables have no restrictions. They can be stored in your luggage and carried, ideally in their original boxes rather than all together, in case they may touch and short out. So, no worries in this department. Lithium-ion is where more care is needed. How these batteries are dealt with depends on if you are carrying the batteries, check them in with baggage or the batteries are stored in components. With batteries in components that are also checked in with baggage, you usually don’t have a problem because most are rated under 100W. This is the magic figure and luckily all camera equipment, even most strobes have batteries rated under 100W. Therefore, you should have no problem within component batteries stored in check in or carry on luggage. Considering lithium-ion batteries stored individually, like a bunch of spare batteries, should be under 100W, but they can’t be in checked in luggage. They can only be transported in carry on luggage. Many people will have their cameras with them with batteries inside, or you can carry the batteries with you, maybe in a separate case. Thus, spare lithium-ion batteries on their own have to be under 100 Watts, packaged correctly and travel with you. So, what about batteries over 100 Watts? You can carry two batteries over 100 Watts, but they can’t be more than 160 Watts and have to be carried with you. If you can obtain reports from the battery manufacturers that say their batteries cover all TSA regulations, its advisable to take these with you when flying to show that all your batteries are covered. You can also take battery chargers, both in checked and carry on bags. Wrap the electrical cord round the charger and don’t store a battery in the charger. Batteries you can’t take include car batteries or any wet or spillable batteries, unless they power a wheelchair or scooter. Spare batteries for a wheelchair or scooter, need to be packaged according to the air operators outlines. All your lithium ion batteries need to be wrapped and packaged correctly when flying. The simplest method is to keep them in their original boxes. This won’t just stop metal contacts touching anything else, but it also has the labelling to say exactly what the batteries are and ratings. Taping up the terminals on each battery with electrical tape is also advised if you don’t have the original box. The other option is put each battery in its own Ziplock bag. This makes for easy storage and the bags can be used many times. If in doubt, put all of your batteries in separate Ziplock bags to show you have thought about your battery transportation when checking in. If you really want to be ultrasafe, then you can buy lithium ion fire retardant bags for battery storage and charging. You can purchase these both individually or in multipacks, many of them are designed originally for storage and transportation of drone Lipo batteries. They are not a requirement for flying with the average camera battery, but it does add that extra peace of mind. Lipo bags can be bought from most big online retailers or ask a local camera store they advise. 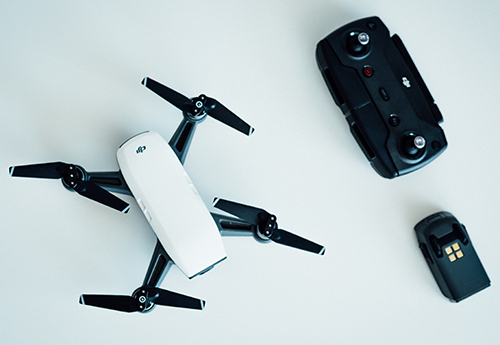 Flying with camera batteries doesn’t have to be complicated, it just takes a little bit of forward preparation, which in turn will save delays when checking in and give you the peace of mind that all your kit is as safe as it can be. It’s always advisable to check each airline for their own rules and regulations concerning travel with batteries. Better this than delays ahead of you. The tsa.gov website outlines everything you need to know with what batteries you can travel with, packing tips and how to store spare batteries when flying.